Welcome to The Chiltern School! We are proud to be different; we celebrate our diverse community and ensure everyone is valued. We treat everyone with dignity and respect. Our curriculum is innovative, stimulating curiosity in all children. The foundations of our curriculum are based on developing communication, independence and emotional wellbeing. Every child has the potential for growth; we have high aspirations and know our children well ensuring they are always taking the most relevant next step. Our school is safe, caring and purposeful, creating a culture of learning and discovery. We make learning relevant, personal, fun and engaging. Our children are happy, inquisitive and resilient, empowered to lead a fulfilled life. We encourage a culture of learning and discovery, where it is safe to take risks. 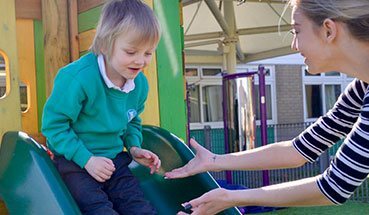 Our vision is to develop children who are happy , confident , inquisitive and independent. Confident to move on, they will have the ability and desire to build on the skills they have developed and they will have a strong set of practical, social and emotional life skills to enable them to get things done and get along with people. Welcome to The Chiltern School - where we dare to be different! Thank you for visiting our school website, where we hope you will find useful information, which will give you a greater insight into our nurturing and stimulating learning environment. We are a school that puts your child at the centre of everything we do. 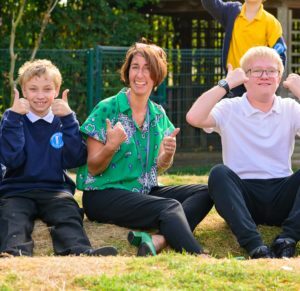 We want our pupils to thrive in a happy, stimulating environment based on mutual respect. We pride ourselves on celebrating the steps children make towards being independent and fulfilled individuals. We understand how important choosing the right school is and the website can only give you a flavour of what we do. If you would like to find out more about us, please get in touch, we warmly welcome visits to the school.